EDGE EVOLUTION 3 Wall Wash is the next generation in Pinnacle Lighting’s Edge family. EDGE EVOLUTION 3 Wall Wash is the next generation in Pinnacle Lighting’s Edge family. 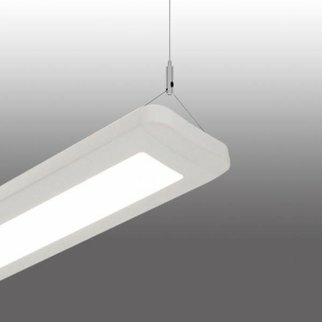 The LED product is designed to create a seamless beam of light with exceptional optical control for uniform, shadow-free illumination from the ceiling to floor. With a standard and high output lumen package, the wall wash can be utilized in higher ceiling applications and allows closer ceiling to wall installation distance of 12”-18” rather than the traditional 18”-24”. The optical reflector system snaps into the 3” wide housing but the actual aperture opening is a mere 1” wide for minimal disruption to the ceiling.